Canadian Central Bank cuts lending rate today almost 0.5%. 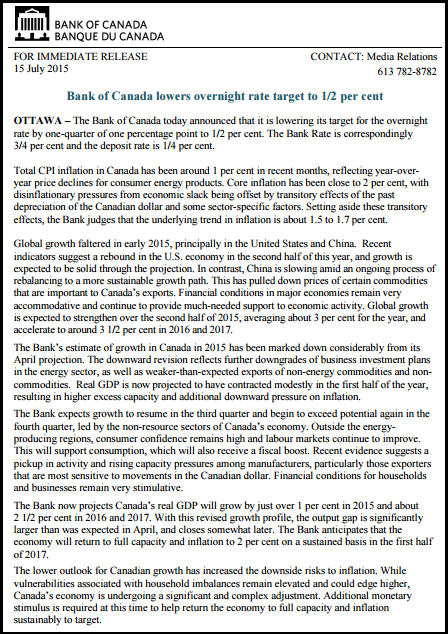 This is the second times since January 2015 that Bank of Canada cuts Benchmark Interest rates. 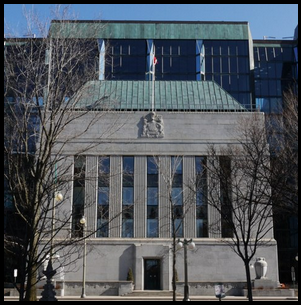 The Bank of Canada today announced that it is lowering its target for the overnight rate by one quarter of one percentage point to 1/2 per cent. The total CPI inflation in Canada has been around 1 percent in recent months ,reflecting year over year price declines for consumer energy products .Core inflation has been close to 2% ,with disinflationary pressure from economic slack . Forex market specially USDCAD index reflects hugely after the Benhmark rate cutting announcement. 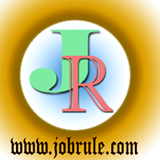 Canadian Dollar felt almost 1 cent from 1.28981 to 1.29346 against United States-US Dollar today. USDCAD Trading strategy today.